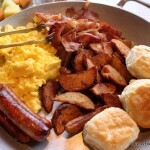 Hemming and hawing about whether or not the Disney Dining Plan is right for your family? We know the feeling! That’s why our The DFB Guide to Walt Disney World® Dining 2013 e-Book includes a fully updated Disney Dining Plan chapter and price analysis for 2013. Pick up your copy here for an extra $4 off using code 2013 for a limited time! This will help you determine what combination of Dining Plan, Hotel Discounts, and other variables will help you save the MOST money on your next Disney World vacation. Today, let’s take a look at a few of the Disney Dining Plan Pros and Cons we include in the DFB Guide to help you make your decision this year. Snack Credits: Use 'em or Lose 'em! Pre-Payment. Your meals will be pre-paid, which means pre-trip budgeting can be easier. Flexibility. You can use all credits on the same day, or space them out throughout your trip. Also, each family member can use the credits as they would like; the whole family does not have to dine together. Nicer Options. You’ll likely eat at nicer restaurants and order more expensive meals. Strict requirements. Everyone on your vacation package (and in your hotel room) must be on the same Disney Dining Plan and be using the same type of Walt Disney World tickets. No appetizers on the Standard Plan. If your family would rather share an appetizer and pass on individual desserts, the Disney Dining Plan will not save you as much you would expect. Unused credits = lost money. If you do not utilize your credits effectively and/or have credits left at the end of your trip, you will not be using the full benefits of your pre-paid plan. These pros and cons, in addition to dozens of other variables — like how much your hotels costs are, how much your family eats, what kinds of discounts you can get, whether or not Disney is offering the free Disney Dining Plan, which Dining Plan makes the most sense for you and your family, etc. — is what makes this particular choice so very difficult for folks planning their next trip to Disney World. That’s why We took a whole chapter in our new 400-page E-book to cover it! Be sure to check out The DFB Guide to Walt Disney World® Dining 2013 for detailed, in-depth information on the pros and cons of the Disney Dining Plan as well as price analyses of choosing the DDP with various Disney resort hotel discounts, free Dining Plan offerings, and more. We even look at individual food costs and how much a typical family will spend or save with the Dining Plan. We do all the math so you don’t have to! Our up-to-date Disney Dining Plan chapter will help you decide if the dining plan is right for your family with real-life price comparisons, discount/hotel price calculations, and more! Click here to get your copy of The DFB Guide to Walt Disney World® Dining 2013 E-book — and use code 2013 for an extra $4 discount for a limited time! 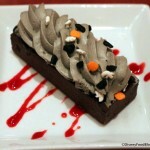 What pros and cons have you found to apply to the Disney Dining Plan? Share your thoughts in the comments below and help your fellow Disney fans! I have a question about the meal plan and multiply rooms. My husband, myself & child will be in our own room and want the QS plan. There will be family in two other rooms that want the regular dining plan. If we book the 3 rooms together do we all need to get the same dining plan? Is the same type of ticket rule new since 2011? We have stayed in the same room as other family members and we have annual passes and they do not but have used the dining plan. I loved the idea of the dining plan. PROS: It was nice not having to worry about the paying for our meals at WDW. We were also able to eat at some really great restaurants, and every character meal imaginable that we would not have done if not for being on the dining meal. CONS: We ate way more than we wanted to. We ate even when we were not hungry just to make the most of the plan! You are still responsible for paying for tips. THAT hit us like a ton of bricks. When we would eat at nice places, food is naturally more expensive, which made the tip more as well! There were many times when our tip would be $50+. You really need to weigh what’s important. Next time we head to WDW we will not be going on the dining plan. Although you do save a percentage if you were to have to pay full price for those meals … if you were not going to have those types of meals in the first place … it’s not worth it. It’s like going to a store and stocking up on a sale item even if you don’t need THAT many of that particular sale item. Did you save? Yes. But did you need it all? Not necessarily. Jamie — Great point on tips! Thanks for your feedback! Gabby — YES. We hear all the time that the dining plan offers more food than people can actually eat. Great metaphor on stocking up on sale items that you’re not really going to use. Awesome feedback! Much like the “cons” we no longer get the dining plan. We like appetizers, which aren’t covered and found that the dollar savings, if any weren’t really there. To get “value” I would often order one of the most expensive entrees when there was really something else I really preferred to eat. Plus, many of our snacks and a few of our Quick Service meals would go unused (at least for us, as we would buy other family’s their meal). I think the dining plan is wonderful for families visiting for the first time. They can take time at home to plan rather than when they are in the park and overwhelmed. We are not using the dining plan this visit. 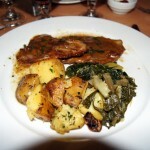 However, this is our fifth visit and we know where we like to eat and what we have left to try. I agree that paying for the tip is what tipped the scales for us. So our plan includes a mix of table service and counter service spots. We love the dining plan! We like not having to worry about paying all that money throughout our trip. We love that the refillable mugs are now included for our time at the resort. Also, at the resorts, since you have the refillable mug, you can use your drink credit for bottled waters to take with you to the parks. You can also pick wrapped desserts with your counter meals to eat at a later time. We would never have been able to eat at the castle and all the other wonderful places without the dining plan because they are just too expensive on their own. Also, the only thing we have ever had left over were snacks and we have just picked up all the leftovers for our drive home. The kids love having 3 or 4 Mickey rice krispie treats for the road. The dining plan is the only way to go! You can book with the same tickets, but once you get to the park you can upgrade/add days to each ticket individually, so they don’t have to stay the same. Alicia – Great tip! A family could upgrade at the park. This would allow Mom and Dad to only add water park admission to just the teens tickets, for example. Great tips. Here’s my general rule of thumb. If you family can religiously stick to the Dining Plans parameters (ie no alcohol, no out of pocket meals, and if on standard no apps) it usually makes the most sense. Do what works out well for your family. Basically, my family orders apps with dinner, almost never dessert. We like to have drinks at our sit down meal. Our out of pocket expenses with Standard Dining was too much money. I did model Deluxe and it was only slightly worse than Tables BUT when we did Deluxe one year it was way too much food and we felt compelled to eat as much as we could because we paid for it. Net, net we are Tables fans now. However, if you like the pros with Dining plan, it’s not like you are way over paying. Probably talking $10 a day too much so enjoy! I definitely see how it is a matter of personal preference. My husband and I purchased the dining plan for our vacation last year and it was completely worth it for us. We liked knowing that most of our food and beverage was paid for upfront. We even figured out tips ahead of time. I looked at a website that posts restaurant menus and prices. From there I figured out what we would probably order (or looked at per person cost for buffets and family style) and I calculated how much we would tip for good service on that meal. I put that exact amount in separate envelopes for each dining reservation. When we got to the hotel, we stored the envelopes in the safe and pulled out which one(s) we needed each morning. Then, when the bill arrived, we would just pull out the cash and add more if we received above and beyond service or if we ordered more than expected. 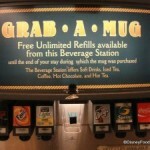 Will Disney World have free dining in Sept/Oct 2013? At one point my son was 100% tube fed, and still gets a lot of his nutrition that way. There are lots of people who can eat orally for medical reasons. 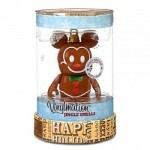 I wish Disney would allow for medical exceptions. This is why we never buy the DDP anymore. We love the QS plan. We eat almost eery night at Wolfgang Puck Express and have a lovely dinner. Snack credits can easily be used up for us buy buying candy to take home. Last year we had 4 meals left on out plan and we had to leave for the airport. So I asked a family that was in line if they would like for me to buy their meals. They were very happy that we would consider doing such a thing. We always use the dinning plan, we eat 2 quick service meals on one day so we can use 2 table meals for one night and I have Tables to pick up on the apps and drinks when we order those. When in disney it is 8 of us … and this works out very well. Great article – I went though this over the winter as we are trying to get a honeymoon in WDW before it becomes a 5 yr anniversary trip! I saw they were offering the DDP or the room discount and figured it was a no-brainer to get the DDP. Thanks to looking here and Deb’s site, I had some good advice to actually figure out the costs. Since I have a few “have to”s like Boma and my husband would eat at the Earl’s every night if he could, it was easy to guess which restaurants we’d most likely go to. Then I picked out what I figured we’d order or took an average – it sounds like a lot of work, but really I just spent an evening drooling over menus! 🙂 Low and behold, DDP was $300 MORE than we would spend on food for a 7 night trip. Now, this didn’t account for the occasional water when my bottle went empty, but I did include snacks. It was quite shocking to me. Now I gobble up all the hints and tricks AJ leaves for us. Hopefully there will be the same option this winter when, maybe, we’ll finally get there already without the DDP! Shinygirl — Awesome!! I’m so glad you did that math! Thanks for sharing the experience with us. My husband and I have been to WDW 7 times in the past two years. The first time we went, we got the QS dining plan for free thanks to the fall promo that year. When we went on our honeymoon last month, we were there for two weeks over two different reservations. We considered purchasing the standard dining plan for the first week, but decided not to. Here’s why. We both have relatively small appetites and quite often (actually, always) split meals. This keeps us from getting too full at once (and wasting a lot of food and $$!) Because we split meals, we do generally end up eating 4 times a day (breakfast, early lunch, late lunch, and dinner). When we had our free QS plan, this worked really well for us – all of our meals were paid for using the plan. At that time, we each got 2 snacks a day, which were used to buy the additional drink at most meals. But, with the standard, we would be doing a table service meal each day, and they don’t allow you to split meals when using the DP. But they DO allow you to split meals if you pay out of pocket.For the two of us for six nights, it was going to cost nearly $900! By not buying the dining plan, we spent less on food over the two weeks paying out of pocket (tips included – and I tip for two meals, not just one!) than we would have spent on the dining plan for the first week (and then add the tips to that). We also were able to have more than 6 table service meals for that amount, too! We will never purchase a dining plan again, either. Most of it is the fact that we split meals. Like I mentioned above, that works with the QS plan – or it used to. Now that only one snack is included, we would have to buy extra drinks for each of these meals (although DH is good about drinking water). Another primary reason is the fact that we don’t generally order dessert. If we do, we will split one. I actually prefer to have a sweet snack later than a dessert with my meal, though. Also, we have pretty simple tastes in food. We generally order the least expensive things on the menu – because that’s what we like, not because of the price. This means that the $38/person/day is more than we spend on our own. Just not worth it for us! My husband and I are looking into going to WDW for our anniversary however we are split between going with the dining plan or not. We like a variety of foods – fine dining as well as your grab and go style. We want to experience the variety that WDW has to offer. Especially both of us (especially me) being foodies! What would you guys recommend?! Isabelle: How exciting to be planning an anniversary trip! Here are some links to our Disney Dining Plan pages that might help you decide if it’s worth it to you or not! Here are the DDP FAQs! 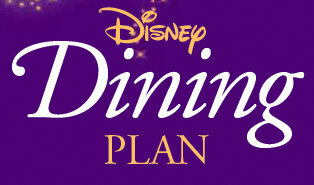 Here’s the Disney Dining Plan main page. On this page, we provide info about the best use of quick service credits. Here’s a DFB YouTube video that tries to answer “Is the DDP worth it?” Ultimately, the best way to calculate whether or not DDP is a bargain for you is to look carefully at the menus for restaurants in which you’d like to dine, then crunch the numbers to see how much you’re likely to spend on food during your vacation. 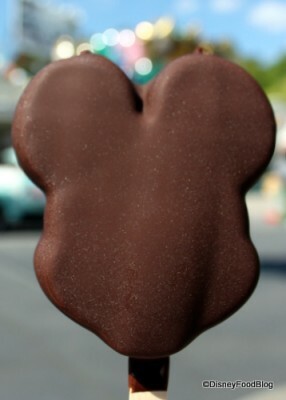 Then compare that cost to the cost of the Disney Dining Plan! Good luck, and have fun!